This one is the deliciously gooey type of comfort food for those moments when calorie counts can really go take a hike! This is also a great bake to whip together when the cupboard is looking a little bare as there is no milk or butter in this recipe. The secret is in the olive oil, which delivers the super-moist component. 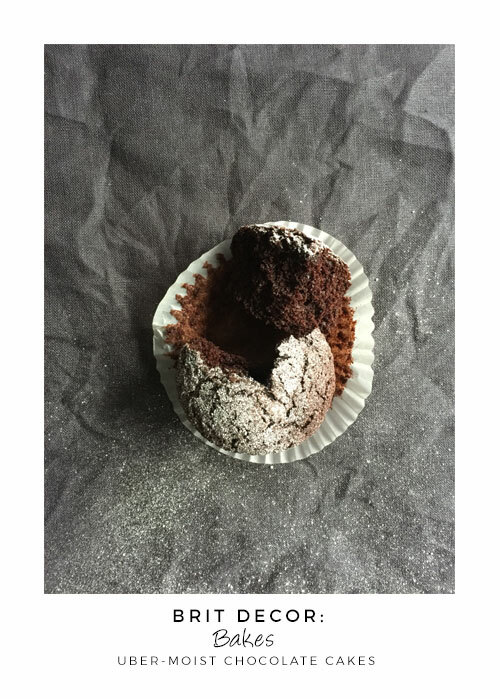 There's something rather simple and elegant about a chocolate bake dusted in icing sugar don't you think? Preheat the oven to 170oc and line a 6-case muffin tray. 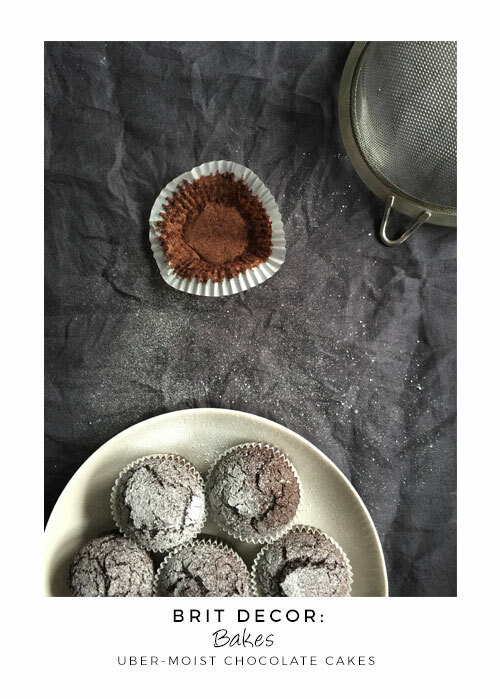 Sift the cocoa powder into a mixing bowl and add the vanilla extract and olive oil - mix into a paste, then add the salt and bicarbonate of soda. In a separate bowl whisk together the sugar and eggs for several minutes then slowly introduce the chocolate paste. Finally, sift the plain flour into the mixture and stir together. 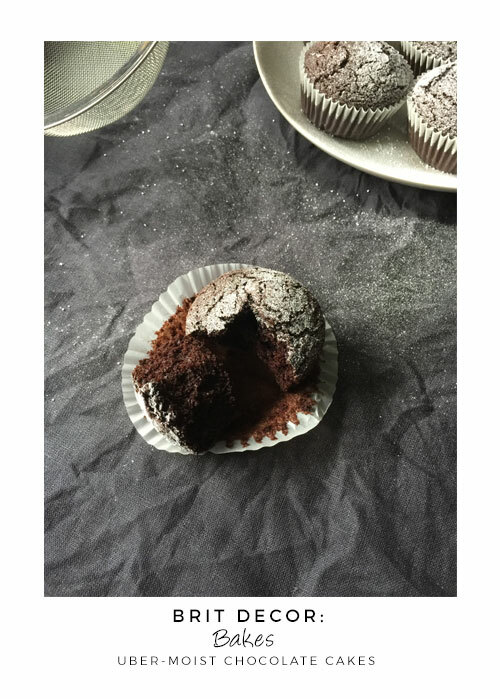 Spoon even amounts of the mixture into the muffin cases and place into the oven for approximately 20 minutes (there should still be a very small amount of mixture left on the knife after gently inserting the blade into the centre of each cake). Once the cakes have been removed from the oven and cooled, lightly dust them with icing sugar. These look delicious, definitely on my baking wish list! I hope they turn out perfectly for you - enjoy!